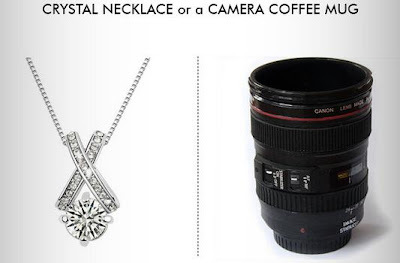 Beautiful Incentives: FREE Camera Mug or Necklace when you get 10 friends to sign up! FREE Camera Mug or Necklace when you get 10 friends to sign up! Go HERE on Facebook to get a FREE Camera Mug or Necklace when you get 10 friends to sign up! It's super easy and really fast. I know 3 people who have gotten theirs. Good luck!